Here are a few restaurants around the United States focused on farm-to-table foods. What is farm-to-table? Well it can be confusing, but the simplest definition is restaurants that buy foods directly from a farm/farmer. 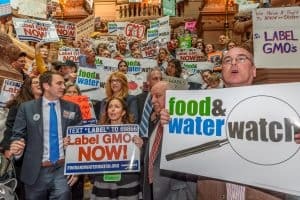 Opinion of the Good Food Movement: Owner Jonathon Sawyer is an active supporter of local agriculture and sustainable businesses in Northeastern Ohio and across the country. Interesting fact about how the restaurant contributes to environmental health, sustainability, and the food system: Dedicated to replenishing the “rust belt” in addition to serving delicious food, The Greenhouse Tavern supports small-scale and local food producers. Opinion of the Good Food Movement: Owner Cherie Montoya believes the best food is fresh, locally sourced, sustainably produced, and grown without herbicides or pesticides. Interesting fact about how the restaurant contributes to environmental health, sustainability, and the food system: Farm & Table operates their own farm in addition to maintaining a network of more than sixty local food producers. This not only provides local and chemical-free food for customers but also promotes the local economy and community growth. Percentage of locally sourced food: Farmhouse Chicago is currently hitting a solid 80 percent locally sourced produce and protein level while maintaining a respectable cost of goods through waste mitigation and proper portioning. The restaurant is proving that the model works, and that it can be done while remaining financially viable. 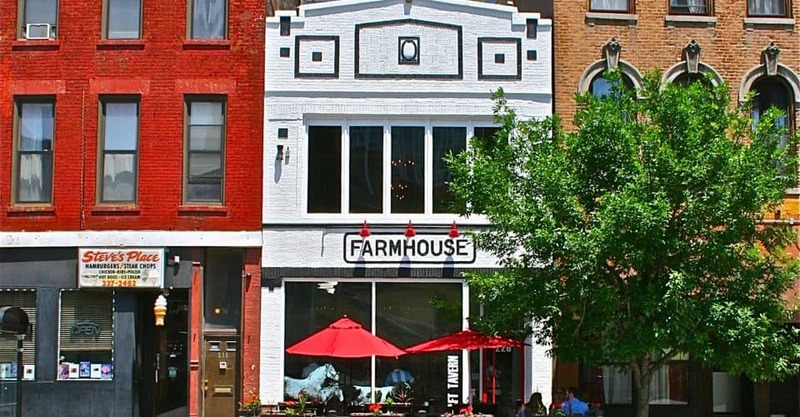 Interesting fact about how the restaurant contributes to environmental health, sustainability, and the food system: Farmhouse is one of many restaurants that have implemented the farm-to-table model. Their farm provides Farmhouse with a variety of seasonal vegetables and fruits. Brown Dog Farm also nurtures the environment, setting aside forty acres as plain grassland in order to restore the native prairie and protect the local wildlife. Own farm: Primo runs its own 4-acre sustainable farm in addition to working with other local farms. Percentage of locally sourced food: At peak season, up to 80 percent of produce is sourced from Primo’s own sustainable farm. The rest is sourced from other farms in the area. Opinion of the Good Food Movement: Primo’s unique dining experience rests on the belief that the best food is fresh and seasonal. Thus, all produce is harvested without artificial chemicals. Interesting fact about how the restaurant contributes to environmental health, sustainability, and the food system: Primo works to foster a healthy community through sustainable and ethical methods of food production. All produce is locally sourced and grown without chemicals or pesticides, which creates top-quality dishes in addition to supporting the local economy and the environment. Best known dishes: Two-hour Salad for which produce is picked only two hours before serving. Own farm: Executive Chef Brian Scheehser owns an 18-acre farm, which grows fruits and vegetables for Trellis. Percentage of locally sourced food: Ninety-five percent of produce used at Trellis is grown locally. Opinion of the Good Food Movement: Trellis is dedicated to serving fresh, seasonal, and sustainably produced dishes. This supports the local economy and the environment in addition to allowing the natural flavor of the produce to shine. Executive Chef Brian Scheehser is also a member of the Slow Food movement. Interesting fact about how the restaurant contributes to environmental health, sustainability, and the food system: Trellis supports sustainable and small scale farmers: at least 95 percent of items on the menu are locally grown, while the rest is supplied by nearby farms.